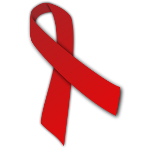 The observance of this day is initiated by AIDS.gov – an official federal internet portal, dedicated to the problems of HIV/AIDS. The portal started on December 1, 2006 by the U.S. Department of Health and Human Services. Many events are organized on this day to support women and girls who are HIV/AIDS positive and tell them how to live with this disease. Information spreading about preventing HIV/AIDS, testing and doing whatever it takes to reduce the impact of HIV/AIDS on girls' and women's lives is of a major importance on this day. The most frequent mode of transmission HIV/AIDS is through sexual contact (including cases of sexual assault) and taking drugs. Till the end of 2009 about 280,000 women and teenage-girls were HIV positive and about 15 % of them didn't know about that. It means, that those women and girls didn't have an appropriate treatment and could transmit virus to their sexual partners. That is why National Women and Girls HIV/AIDS Awareness Day is aimed to tell women about the danger and preventing of HIV/AIDS, that will help stop the virus.